While not sure if she can openly laugh about it just yet, the fact that Bethan can talk about being thrown out of America is a giant step forward. Well, not exactly thrown out. More escorted from the airport by men in black suits, clipped into a black van and driven down the runway to a waiting plane. Thankfully she’s a glass half full person and admits she wouldn’t have got the Sansaw job if it wasn’t for the Visa violation. Although her parents are software developers, looking after animals has always been close to her heart. 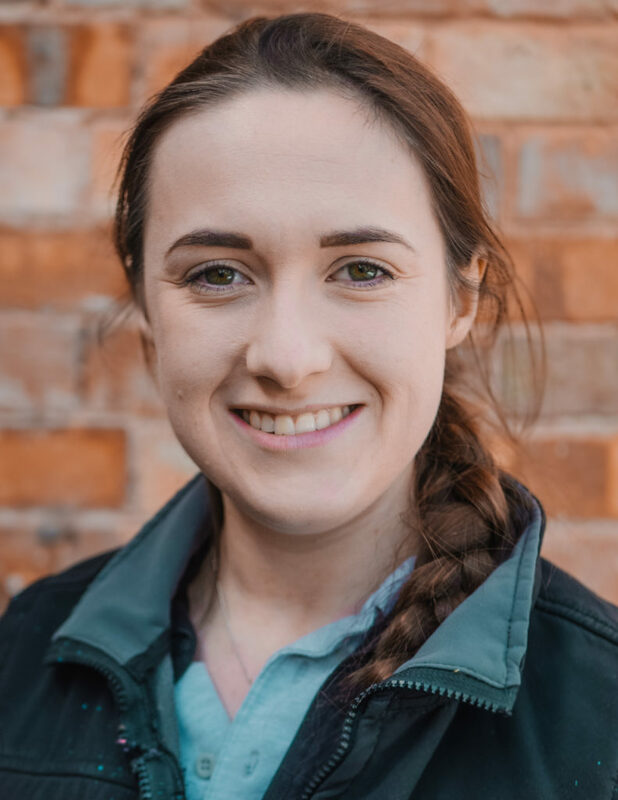 “Initially I wanted to go to vets school but I spent four years at Harper Adams and after my placement at a dairy farm I really wanted to pursue that side of things,” she explains. Bethan arrived in October 2017 just as the cows were being dried off for winter. She revels in the fact her university tuition was cheaper thanks to the Welsh Assembly. She had eaten half a Welsh cake for breakfast almost to underline that point. “I made double the recipe at the weekend and brought them all back on the train,” she laughs. Her family are all back in Wales: her younger brother is working in insurance while her older sister is a project manager for a defence company. Away from the dairy, there’s plenty to keep her fit and active….notably, pole fitness classes. “It’s a great way to meet people, especially as I’m not from the area, and really good exercise – my instructor is like a drill sergeant so I’m completely crippled for three days after each class. As for work interest, Bethan’s fascinated by genetics and wants to pursue that field later down the line. In the meantime, she’s been given the role of looking after the estate’s small herd of Shropshire pedigree sheep.